Published on September 2, 2014 September 2, 2014 by . – May I – YOU – WE – ALL – be safe from inner and outer harm. – May I – YOU – WE – ALL – be filled with loving-kindness. – May I – YOU – WE – ALL – beings live in peace and harmony. Your spreading LOVING-KINDNESS is making a very big difference. 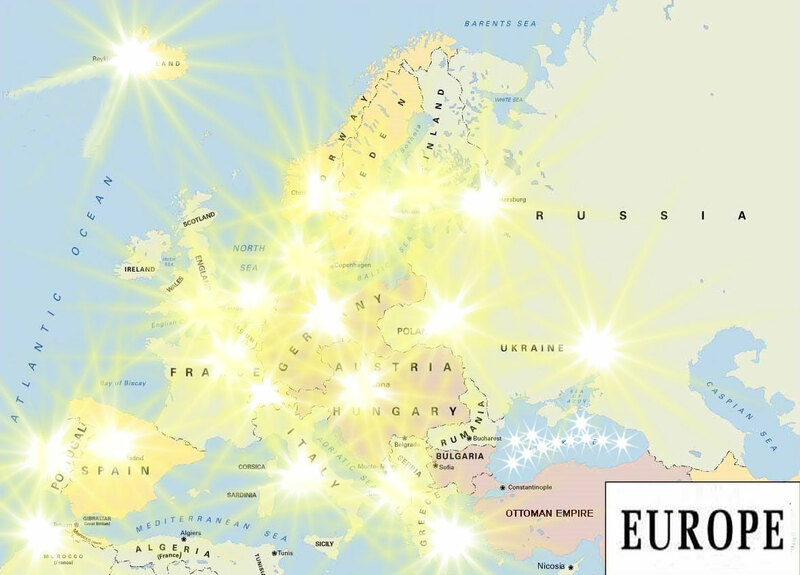 Look at the this map of Europe. Regardless where you are situated by sharing LOVING-KINDNESS light will rise up in the morphogenetic field and incorporates a free energy for all living beings. Lets join together in sharing LOVING-KINDNESS and move the world into inner peace. LOVING-KINDNESS is known and practised in the Buddhist world for more than 2000 years under the term Mettā. So kind so cool…if everyone do follow your guiding here.. surely we all bring the world into peace… rejoice to your merit..Sathu sathu sathu.